I was recently cruising Marikina with a client when we passed by a Thai restaurant down in Marikina's Public Market. My client mentioned that it was one of his family's favorite restaurants in the city. So with that recommendation, I had to try it with my friends. And it sure did not disappoint. 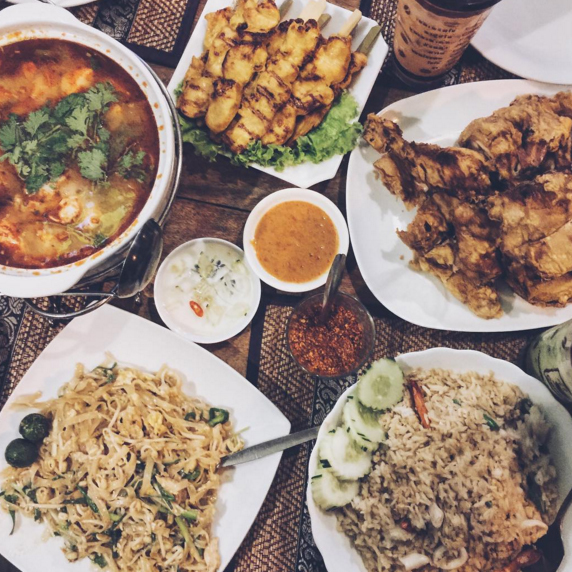 Krung Thai offers everything Thai. The taste of their food definitely put them on my top 5 list of Marikina restaurants. Wow, so much to eat. Many people please.